If you’re looking for a really simple dessert or snack that you can completely customize for your family’s taste buds, I might just have the perfect recipe for you. All this recipe requires is a simple Graham Cracker crust and whatever toppings you have on hand. 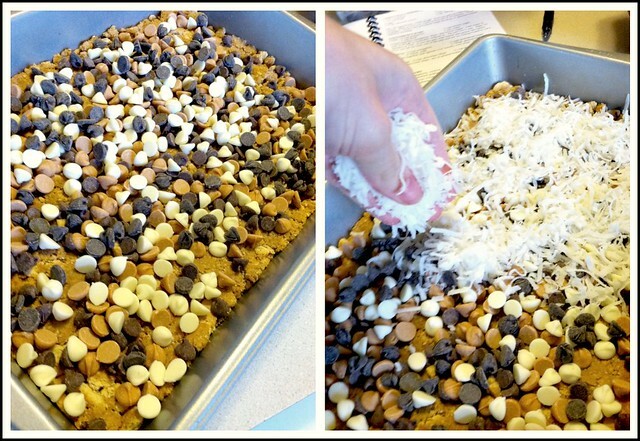 I regularly make these Easy Layer Bars when I have a random assortment of half-empty bags of baking supplies to use up — I’ve yet to have any complaints about the deliciously sweet combinations I come up with! 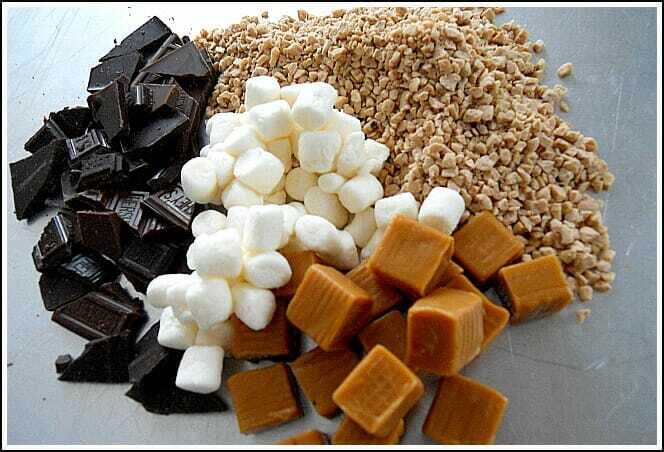 And while almost any variety of topping will work for these bars, here is the recipe I follow most often. 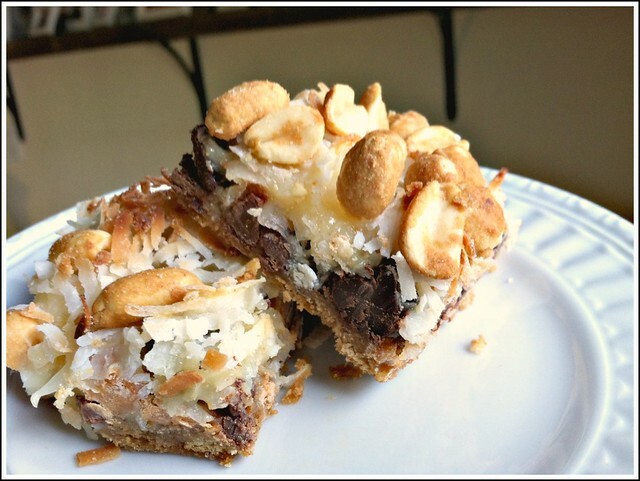 I’ve made this dessert many, MANY times and it always turns out delicious; and as I mentioned before, these bars taste great with all sorts of toppings — so feel free to experiment a bit. I’ve already tried chopped Snickers, chopped Twix, Heath bits, peanut butter chips, and even crumbled cookies. There’s not really a bad combination! 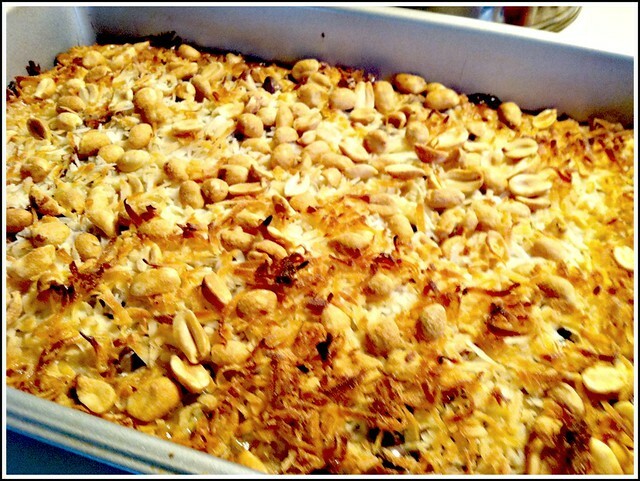 The only thing I would recommend is including the coconut because it makes a nice “crunchy” topping — and of course, you need the sweetened condensed milk to hold everything together. I’m sure you’ve already guessed it — but yes, these bars definitely freeze well and taste excellent straight out of the freezer! So… what toppings will you try? Another perfectly delicious creation, Andrea! Again, I wanted to freeze some, but they didn’t even make it to the freezer. We gobbled them up. Sounds good — I recently did something similar with fresh cherries, sliced almonds, white chocolate, etc! 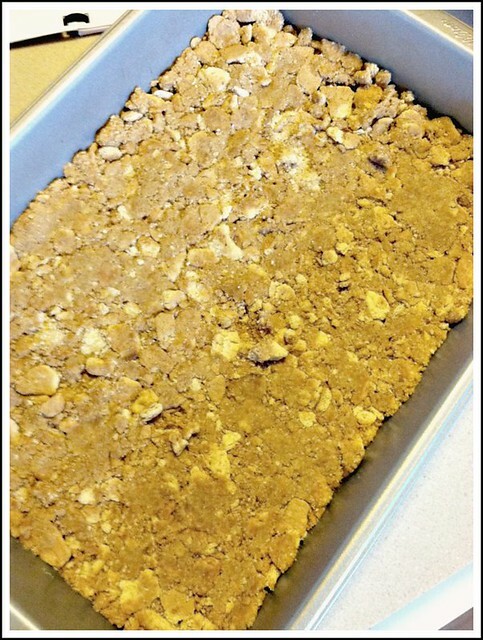 omg, i made these a couple of years ago …these are great …easy made ….small amount goes along way for that sweet tooth….. Thanks for the great recipe. I made these Wed night for a party. My husband liked them so much that I made some more last night for home. Those look awesome! I love recipes that use up my partial bags of stuff. Woah! These look amazing! What a great way to use leftovers. I’m always left with a portion of things and never know what to do with them. This is also good with saltine crackers as a base. The salt adds another flavor dimension, and breaks up the sweetness a little bit. Ah yes… I’ve made them that way too!